How many rental properties does SimplifyEm.com Property Management Software support? How can I add property owner information to a property? Where can I generate the list of property owners and their properties? I am a property manager. How can I use SimplifyEm.com Property Management Software to track properties for my clients? How can I edit the property owner name for my property? 1. How many rental properties does SimplifyEm.com Property Management Software support? SimplifyEm.com Property Management Software allows you track income, expenses and generate reports for unlimited units/leases. The Free version allows you to track 1 unit/leases. New users get FREE ACCESS to services for 15 days, after which they can choose to upgrade anytime or continue using SimplifyEm.com Property Management Software for FREE! You can manage 1 unit for FREE ! For more than 500 units , Please contact support@simplifyem.com or 510-790-9066. We can support 1000's of units." View more details on " How much does SimplifyEm.com Property Management Software cost? " 2. How can I add property owner information to a property? Property Managers who manage multiple properties for multiple clients can assign owner names to each property in SimplifyEm.com Property Management Software. This gives them the ability to generate separate reports for the different owners. 1. 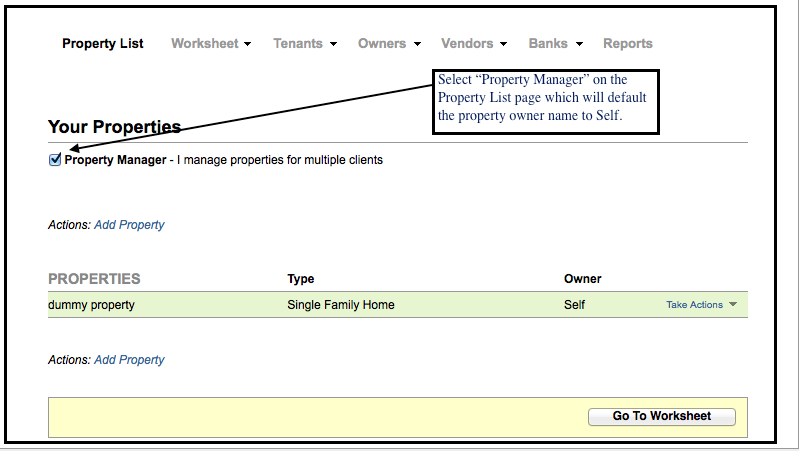 Go to the "Property List" page and select "Property Manager" at the top left of the page and this will make "Self" as the default property owner for all your properties. 2. 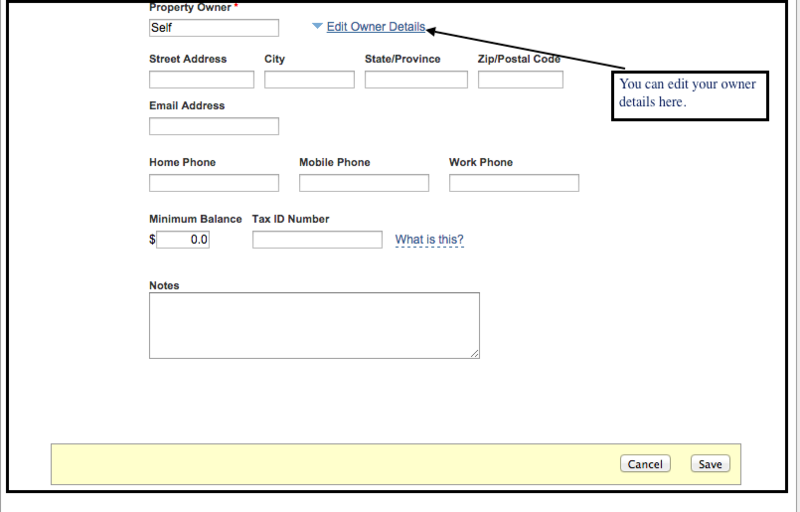 You can then click on "Edit" for all properties you want to enter the property owner information. Remember, for every new property you add, you will now be able to add property owner information. 3. Where can I generate the list of property owners and their properties? 1. Go to the "Reports" page. 2. Scroll down to the "Property Manager" section on the page and expand the "Property Owner Contact Report" section and click on the "Generate" button. This will give you the list of all the property owners and the properties they own. 4. I am a property manager. How can I use SimplifyEm.com Property Management Software to track properties for my clients? 2. Click on "Take Actions" drop down for the property you want to edit the owner information and click on "Edit Property". To print your properties, go to the section on "How do I print my reports? " 5. How can I edit the property owner name for my property? 1. Go to the "Property List" page. 3. This will open the Edit Property page. Click on Edit Owner Details link. 4. This will expand to show the details for your property owner. You can now edit the owner information here and click on save.